Falcom in the past made a version of Trails in the Sky's story with a male version of Estelle; Next main Kiseki game will feature returning characters, more info coming this June. 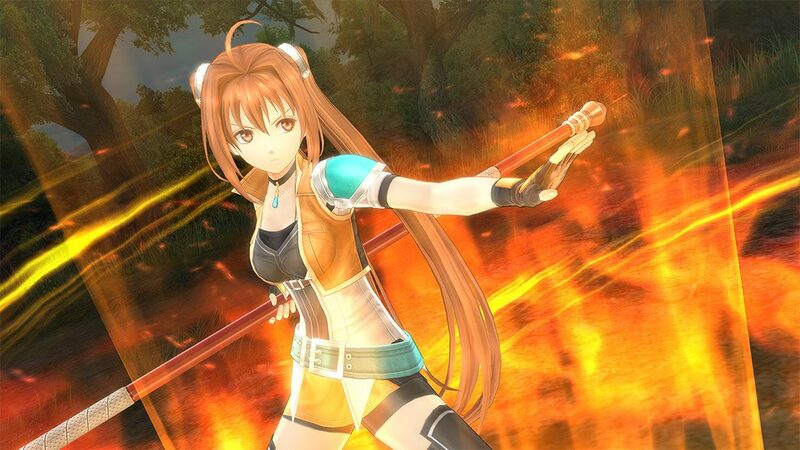 As announced back in February, Nihon Falcom’s President Toshihiro Kondo revealed new information on the two upcoming Kiseki/Trails games and on the future of the series, at the Dengeki Game Festival 2019 event. Please keep in mind that this article contains information which could be considered as spoilers for Trails of Cold Steel and all Kiseki games in general. Multiple Trails of Cold Steel characters will appear in the next Kiseki main game. As the next game will be set in the eastern region of the continent where the Kiseki series is set, there’s a very high chance that characters who appeared in the Kiseki series so far with ties to that region will be coming back. Kondo also said the game will include characters who haven’t appeared in a Kiseki game in over ten years. Now that Trails of Cold Steel‘s protagonist Rean is a master of swordsmanship, it’s also possible he has taken in a disciple and that we’ll see them in the next main game. As for Rean’s romance options in Trails of Cold Steel and how that will be reflected in the next games, Falcom doesn’t really know yet. Kondo explained that for example in Trails in the Sky, Estelle and Joshua ‘s relationship is one of the main themes of the story, so it was obvious they’d be shown together in later appearances. But in Trails of Cold Steel games, Rean’s love life isn’t really important to the global story so they allowed players to pair Rean with any of the girls. So they don’t know yet what they’ll do when Rean shows up again. Kondo also revealed that they’re still deciding on whether the next main game following Trails of Cold Steel will feature a male or a female protagonist. He explained that nowadays when making a new Kiseki game, they first decide everything about the setting and its story, including most of the protagonist’s background like which organization they’re part of. However, the protagonist’s gender is one of the final things they decide. For both the Crossbell games and the Trails of Cold Steel games, they ended up deciding to go with male protagonists. 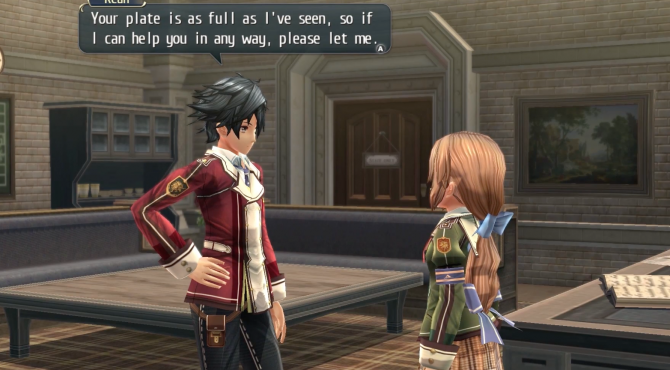 Lloyd, the protagonist of Zero/Ao no Kiseki, has a typical superhero-like, hot-blooded personality, while they went with something different for Rean in Trails of Cold Steel. As such, it’s possible the next main games will feature a female protagonist. Following that, Kondo also revealed that in the past Falcom made a version of Trails in the Sky‘s story with a male protagonist. We previously reported that the development team at Falcom working on the Kiseki games team was split in two, one team working on the next main game which will take a while to release, and the other team working on a sidestory-like game which should release sooner. 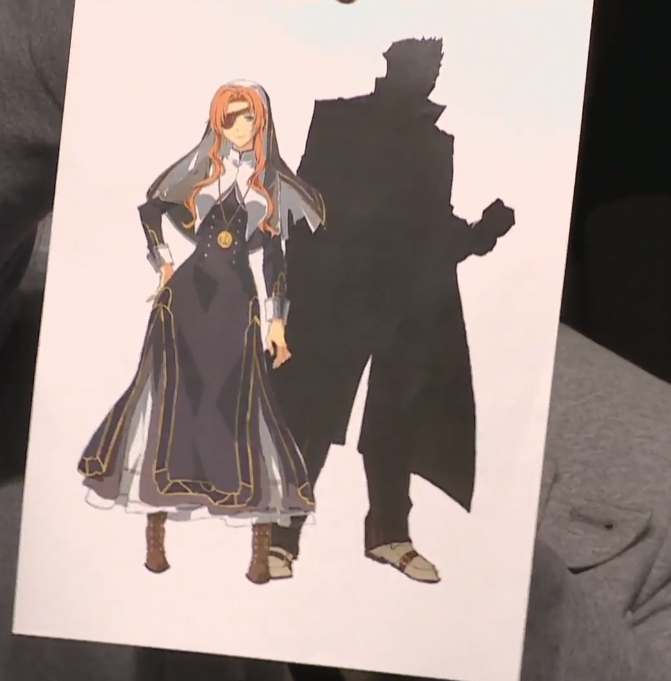 During the event, Kondo revealed new artwork, showing new and old characters who will appear in those games. This man at the left looks a lot like Gaius from Trails of Cold Steel but is actually a new character. It’s “someone who looks a lot like a younger Gaius and wears clothes from the Nord Highlands”, the region Gaius is from, so you can easily guess how the two might be related. The woman at the right is Rixia Mao from Zero no Kiseki and Ao no Kiseki. 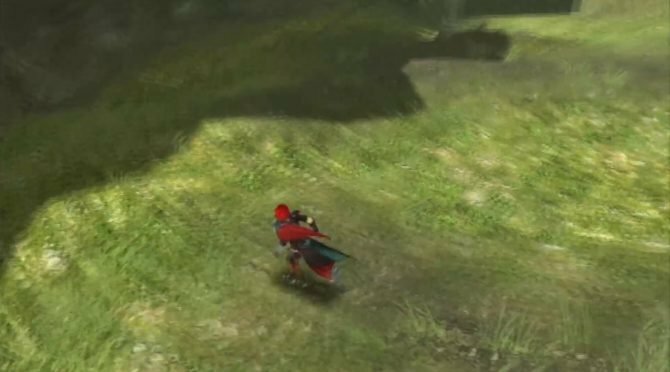 You can see she wears eastern-like clothes and should show up in the next main game seeing it’s set there. This is Scarlet from Trails of Cold Steel, and the other hidden character is Wald from Zero/Ao no Kiseki. For a certain reason, we might see them act together. This is also the first time we actually see Scarlet dressed as a sister, despite her background as a member of a church. 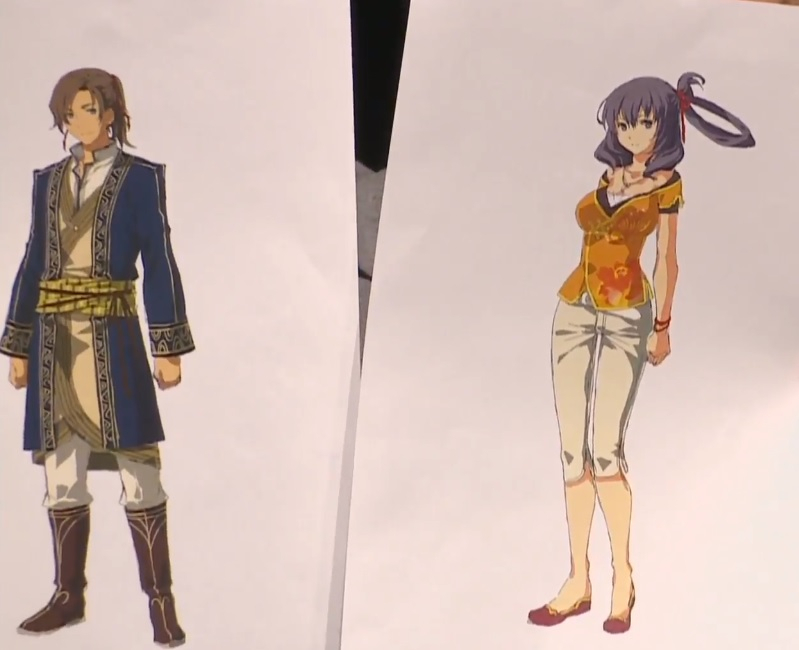 Kondo mentioned that he showed artwork with characters from either Zero/Ao no Kiseki and Trails of Cold Steel on purpose so we don’t know if these characters are coming back in the next main game, or if they’ll be in the spinoff-like game. 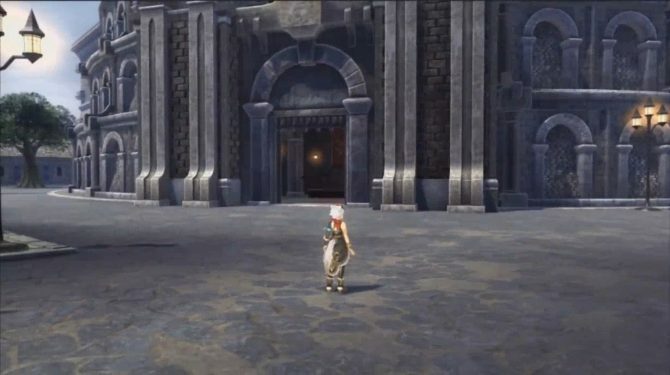 He added it’s also possible all four characters he showed, the Gaius lookalike, Rixia, Scarlet and Wald, will appear in both games. Lastly, Kondo said that they should reveal more information on the Kiseki games in June 2019 when the series reaches its 15th anniversary. 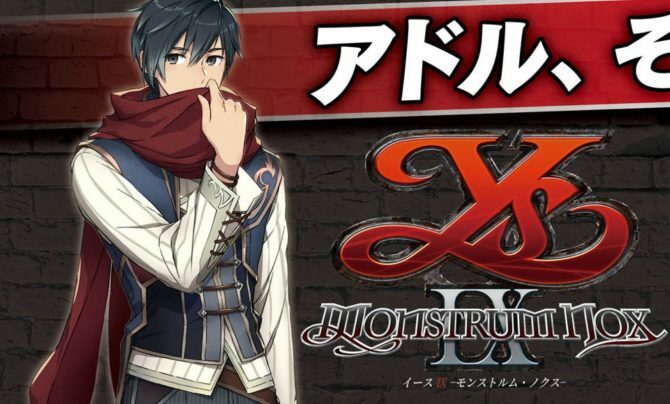 In related news, during the event, Falcom also revealed the first gameplay videos and new information for Ys IX: Monstrum Nox.